Aiden catches word that his cousin is in a bit of trouble. He's not doing great in school and ends up going back to the states. Here he finds a bare echo of what his cousin used to be. She seems bland now. Aiden needs to figure out what's going on with her and the rest of the world as the Forgetting Clinics seem to be taking over. This book was a bit confusing at first, because there were so many story lines. There's also a small time gap between the last book and this one, so there's a bit of catch-up involved too. Between these two things it was a bit complicated at first trying to see where everyone is and get to know the people behind the new perspectives. As much as I wanted more Micah, I enjoyed getting a glimpse from a different set of eyes. I didn't really care to much for Aiden and could never really get a good handle on what kind of a person he was. He seemed shiny and slick at some times and self-deprecating at other times. Not a lot really happened in this book it sort of pushed forward to bring Micah and Nora back into the picture for the grand finale of The Meme Plague. It was an interesting chapter in the story and I am looking forward to seeing how the characters come together and play their parts. "It all started with a door." "I'm much better at trusting my instincts (and the universe) than actual deductive reasoning. That was usually way too much work." This book is a very quick read with short chapters and economical and often lyrical prose. I think I will have to go back and read Memento Nora, just so I can visit this world of corporate and government corruption once again. 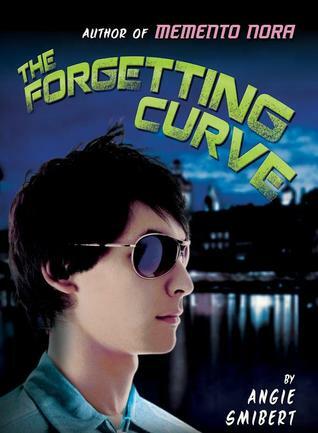 A nice examination of the power of memory in shaping who we are, The Forgetting Curve is an enthusiastic recommend.